Sweet potato toast that's Whole30 compliant. Try it! 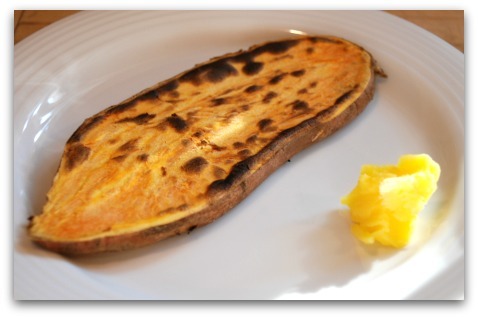 I came across a sweet potato toast recipe which intrigued me. Could I REALLY get a piece of toast from a sweet potato? The answer of course is no. Not in the way that you would want to experience toast. It doesn't even remotely come close to imitating toast in the taste department. And it's not crunchy. There. No more mystery. 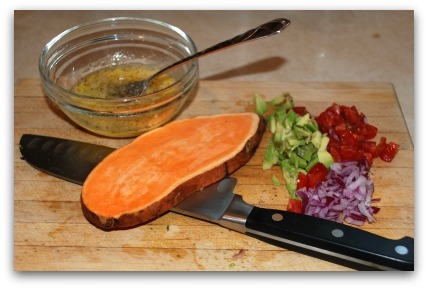 HOWEVER, if you're looking for a way to make a support for a sandwich then you will love this very simple method of preparing a sweet potato. Once toasted, the rest is up to your culinary imagination. I'm a big fan of sweet potatoes, in moderation. I'm very sensitive to carbohydrate so I perhaps eat them once a week, max! But when I do I make little grunty noises of appreciation. To make the "toast", choose a large sweet potato and cut a 1/4-inch slice from the middle lengthwise using a large knife. Keep the other halves to roast later. Place the slice in a toaster on the highest setting. You will likely need to toast it a few times. When it is quite browned and feels soft when you pinch the flesh it's ready. Remove the peel and spread a teaspoon of clarified butter on top. Voila! Your toast is ready and it's Whole30 compliant! Won't the juices from the sweet potato toast drip into my toaster? The toaster won't get damaged with juices from the heated potato. The heat seals the flesh and there is no mess to contend with. 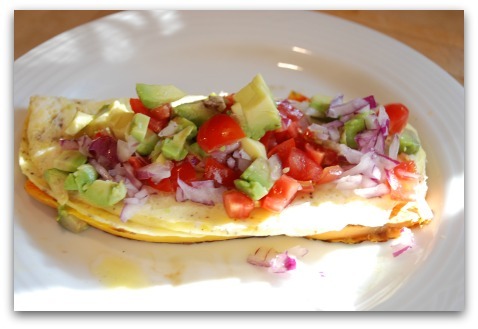 Top the toast first with clarified butter, then with the cooked egg and add the onion, tomato and avocado on top. Season with salt and pepper to taste. I ate mine with a knife and fork. It was very delicious and it "felt" really wholesome and healthy. So there you go! A Whole30 compliant recipe to keep your challenge moving along! I think next time I will add a teaspoon of home made mayonnaise for an added layer of flavor. Oh and feel free to leave comments and ideas below. I test recipe submissions all the time. To learn more about The Whole30® Challenge, please visit the site featuring the amazing health plan created by Melissa Hartwig and Dallas Hartwig. OK, let's go from the sweet potato toast page, back to the HOME page!